All the interviews were conducted by Wit Hadło, whose newspaper is based in south-east Poland, where the event took place. The championship was unusual in that it was held in a village (Chotowa), with competitors brought there daily by coaches from hotels in the surrounding area. The Podkarpackie, or Subcarpathia region, is a picturesque setting at the foot of the Carpathian mountains. All photos were taken from the excellent official website. For now everything’s going according to plan and with one draw and four wins I’m leading the tournament. I hope I can keep that place until the end of the tournament. Is this your first visit to Poland and Subcarpathia? I’ve been to Poland many times. I like coming here and playing and I’ve won a few tournaments, though I’m in Subcarpathia for the first time. I really like it and feel almost as if I’m at home, as this county is basically the neighbouring one to my native Lvov. How did you start playing chess, and what have your greatest achievements been? As my parents are chess trainers my adventures with the game started very early on, when I was two years old. I won my first tournament when I was five. I’ve won the Ukrainian title three times in junior categories, while since 2005 I’ve represented Slovenia and I’m the Slovenian champion. I’ve won five junior titles in the European Championships (in different age categories) as well as medals at the World Junior Girls Championships. Besides chess do you have time for other leisure activities? Unfortunately the games finish very late, then I return to the hotel and analyse my game and don’t have time for going to discos. Chess takes up the majority of my time each day. Now I already need to go and prepare for today’s game. 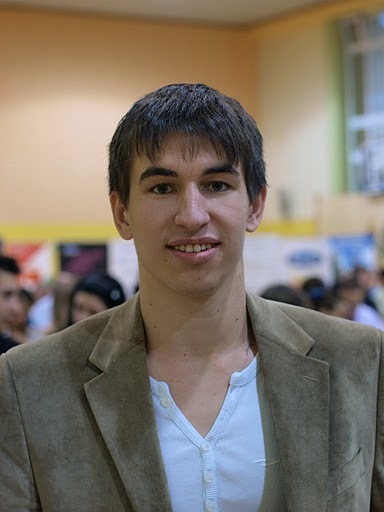 Like Anna, Dmitry Andreikin justified his position as favourite, eventually taking first place on the tie break from Sanan Sjugirov, with a rating performance of 2734. His comment about Saratov in the interview below is probably explained by Wikipedia’s description of the city as “highly industrialised”. I played really well. I was in very good form both mentally and physically. The battle for the title lasted almost to the very end. Did you have any moments of doubt? I was always leading the race, though at the very end I complicated things a little for myself when tiredness led to the loss of a game and a nervous conclusion. Fortunately everything ended up ok, which made me extremely happy. 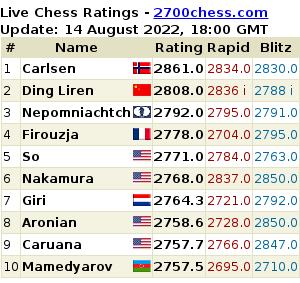 Is this your greatest achievement in chess? In principle, yes. I’ve been playing almost since birth in my beautiful home city of Saratov on the Volga (laughter). I’ve collected some tournament victories, the grandmaster title and a few medals as a child. But as a junior this is my first medal, and immediately gold, achieved by a whisker as this year I’m 20 and stop being a junior. What memories will you take from this championship? Wonderful ones! It’s the second time I’ve played in Poland and I really like it here. The competition was excellently organised and run. I didn’t have to bother about anything and could just concentrate on my game. The organisers deserve the highest praise, more so as the event was played in a village, and not in a town or some resort, as it usually is. What are your future plans in chess? Well… I’ve stopped being a junior and now I’ll try to achieve something as a senior. I don’t have any great chess idols. I think that everyone should find their own path in chess. 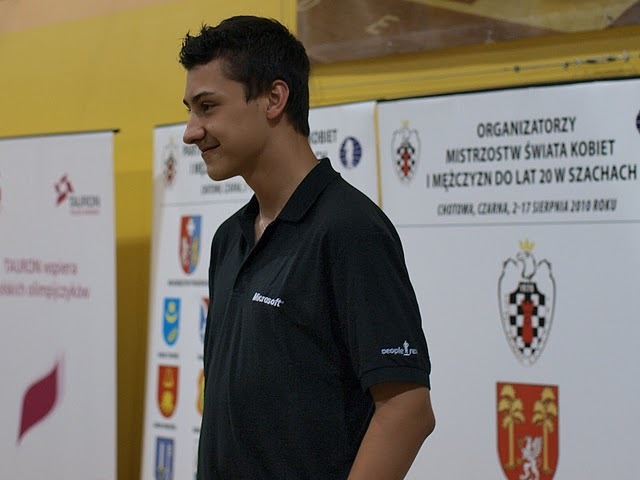 Dariusz, or Darek, is 16 years old and the youngest grandmaster in Poland. I recently translated an interview with Tomasz Sielicki, the President of the Polish Chess Federation, who outlined the special sponsorship program created for the player. With his bronze medal Świercz outperformed expectations and picked up 25 rating points. Thank you, though I have to admit that on the whole I played weaker opponents. I’m trying not to get ahead of myself, and for now I’m concentrating on the upcoming tournaments, where I’ll try to prove that crossing that barrier wasn’t an accident. I’m really pleased with the medal. I wasn’t a favourite, but I provided a big surprise for everyone. They say that even the walls help the hosts, and there’s something in that. I felt really good playing here, as I defeated a lot of higher rated chess players. Did you expect such a good result and to make it onto the podium? I always aim high, meaning for first place. I play to win. It wasn’t an easy task, though. In terms of ratings I was no. 26 and such a place would have reflected my position among my rivals. However, I battled and gave everything I could, which bore fruit in the bronze medal. Did you have a chance of placing even higher? Yes, I did. In two of the games instead of winning, which was a slight chance at certain points, I only managed to draw, and it was just that one point that was lacking for a perfect outcome. Despite the undeniable success, I was left a little unsatisfied. Very early on. When I was 3 my grandfather taught me to play chess, for which I’ll always be grateful to him. Two years later I began to play in a club, and at 6 I played in a tournament for the first time. Is chess part of your daily life? I train more than six hours a day at home, in Tarnowskie Góry. I’m a grandmaster and currently play in the colours of the Polonia Wrocław Chess Club. Besides that, like every teenager I go to school. I’ve finished the gymnasium and in September I’m going to the lyceum, specializing in mathematics and physics. If I manage to find a moment of free time then I like to play football or swim. What are your impressions from your stay in Subcarpathia? It’s very pretty here. There’s a lot of greenery and it’s quiet and calm, not like where I live in Silesia. It’s a great place for organising chess tournaments like this championship, as it really was a big event in the chess world. It’s just a shame that the national media didn’t take much interest in it. I want to play chess to the end of my life, because it’s a beautiful, majestic game. You haven’t heard the last of me and I hope that at some point I’ll play for the highest stakes, like my idols Fischer and Kasparov. Finally I’d like to thank everyone who supported me and had faith in me, particularly my parents and friends, and also my sponsor, Microsoft.